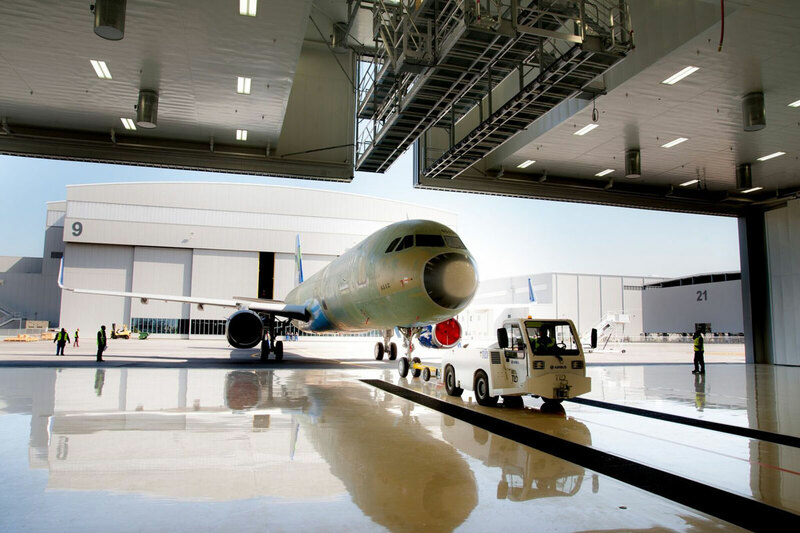 This project funded construction of a new $13M twin bay airplane paint shop, as part of MAAS’ $22.36M overall investment in the Airbus facility located at Brookley Aeroplex in Mobile, AL. After announcing their first US-based aircraft production line would be located in Mobile, Airbus selected MAAS to design/build and operate a single-aisle paint shop adjacent to the aircraft manufacturer’s facility under a long-term contract to paint all its new A320 planes. The NMTC financing provided MAAS with the funds to design/build a second paint shop and finish the construction of a primary operation that will both service aircraft from the Airbus facility, as well as support the operations of ST Aerospace – the world leader in aircraft maintenance, repair and overhaul (“MRO”). For over 30 years, MAAS Aviation has delivered world-class standards in aircraft exterior refinishing to over 200 aircraft operators worldwide. MAAS Aviation also provides aircraft painting services to OEM manufacturers and is regarded as one of the leading aircraft painting companies in Europe with a reputation for high quality and reliability. The newly constructed facility at the Brookley Aeroplex in Mobile will be MAAS’s first US facility and will create 87 new permanent jobs. Construction of the $13 million facility was financed by First NBC Bank as the leveraged lender and also the federal NMTC investor. MAAS will actively recruit and train local workers and equip them with very specialized industry training that MAAS has developed through their international operations. MAAS will also commit to annual scholarships available to local community colleges and partnerships with organization such as Southwest Alabama Workforce Development Council. Economic: As a key component of the Airbus facility, this project will help the larger economy in south Mobile. Jobs: This project will create 87 high-paying full time jobs between the painting and MRO facilities. The highly complicated construction involved employment of over 320 workers. Community: This project is in a highly distressed area that was the site of a FEMA major disaster declaration in 2014. It also is located in an Urban Renewal Community and an Alabama State Enterprise Zone. Workforce Development: MAAS has committed to annual scholarships available to local community colleges and partnerships with organization such as Southwest Alabama Workforce Development Council. The Project will commit $40,000 annually to internships/scholarships (or $280,000 for the 7-year compliance period).